Creepy clowns are getting a lot of press these days. Some scarier than others — or more orange. It seems there's a lot more scare with these jesters and not enough laughter. But what if there's just the right balance of fright and delight? Lucky for us, the trained and talented clowns of the Dell'Arte Company have some bloody good fun up their sleeves and they're ready to scare audiences silly at The 2016 Macabre Cabaret, playing Oct. 14 and 15 at 8 p.m. in the Carlo Theatre ($15, $12 seniors/students). 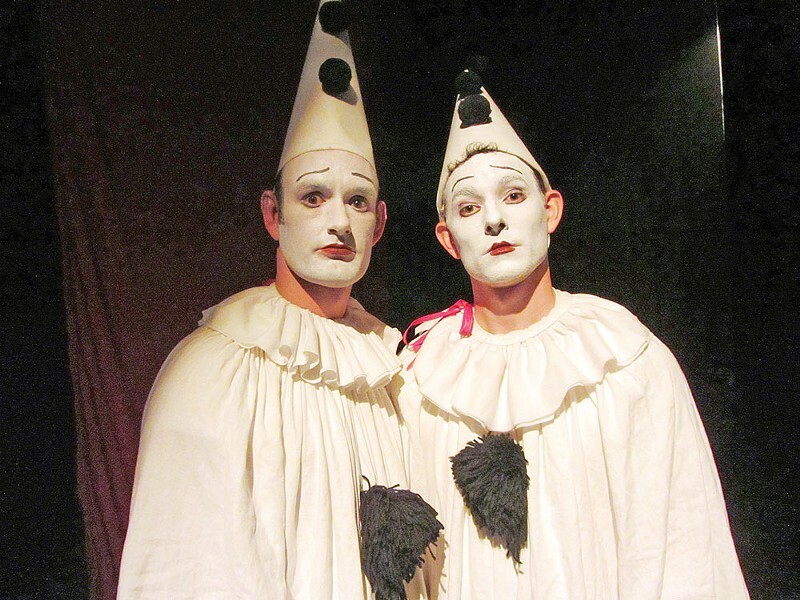 ot (or not as much), the Dell'Arte company brings plenty of commedia to soften the edges. Prepare for an evening of blood, guts and belly laughs as company and guest performers — including Michael Fields, James Peck and David Powell, and Dell'Arte alum Debbie McMahon, director of Los Angeles' The Grand Guignolers — deliver an evening of over-the-top thrills, kills and chills. The show is recommended for ages 16 and up.